Dr Francesco Del Galdo talks on the latest research into Raynaud's and cold hands or cold feet. He describes the latest testing including detailing the mobile clinic with a thermography and capillaroscopy. 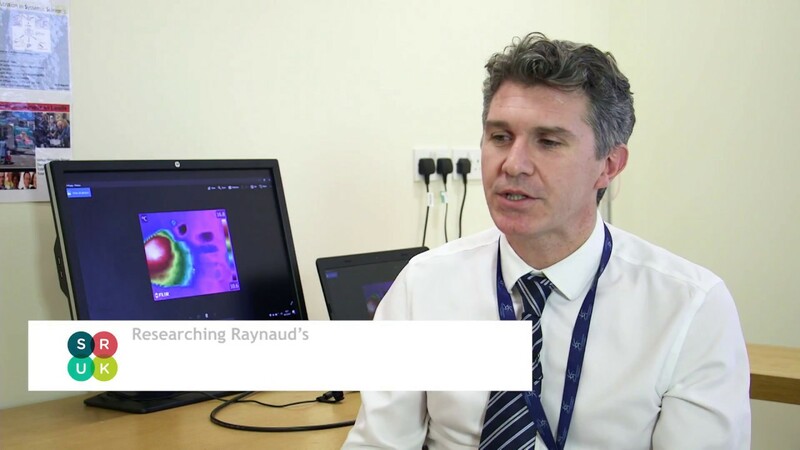 He then looks at the progression of Raynaud's into possible other conditions such as mixed connective tissue disorder with an MRI scan or serum test to measure the validity of a sclero-score to predict the value of developing scleroderma in the future.